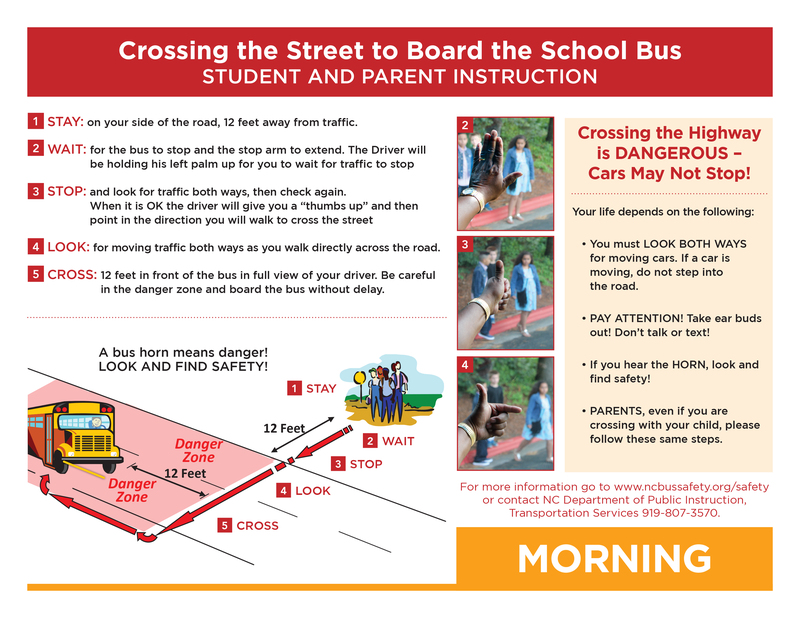 Effective January 1, 2016, North Carolina school districts will be using a standard crossing signal to help protect students when they need to cross the street to board the bus or after exiting the bus. The school bus driver will first hold palm out indicating that students should WAIT before stepping into the roadway. 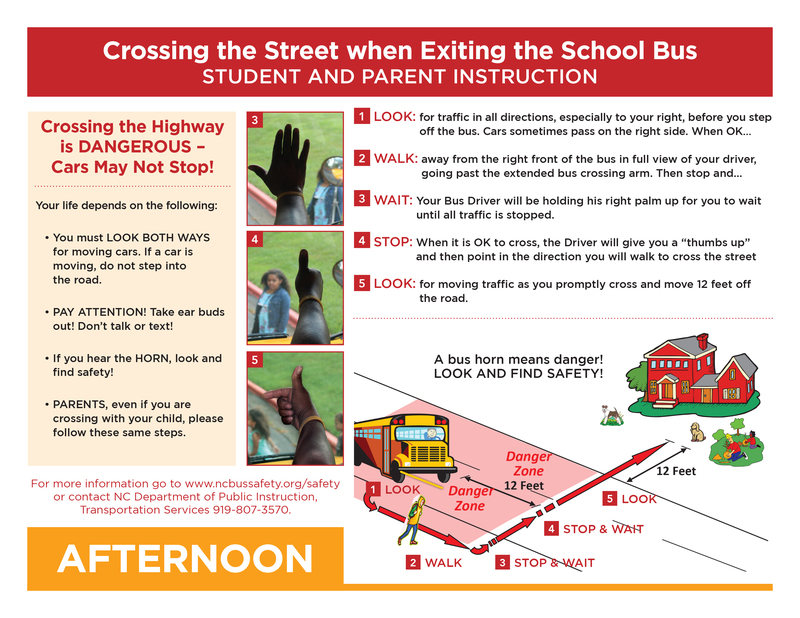 After the driver has checked for safety, he or she will then give students a “thumbs up” indicating that the students should then check for traffic and then cross the street. The driver will indicate the direction to walk by pointing with his or her index finger. A training presentation is embedded below in PDF format. The same presentation may be accessed by clicking the PowerPoint and/or PDF files linked at the bottom of this page.